Nationally AAUW prioritizes identifying barriers to women in leadership and increasing the number of women in leadership roles. 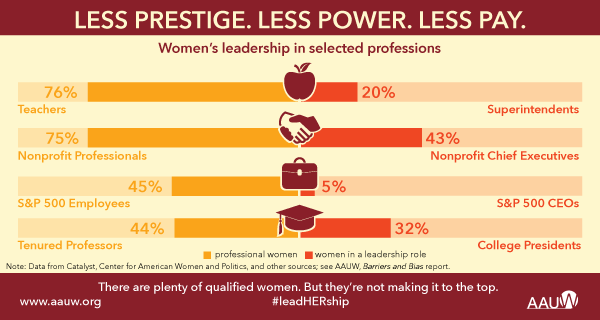 Learn more, on AAUW’s national website, about leadership topics that affect women, such as gender bias and salary negotiation . Locally, AAUW Morgan Hill offers several leadership development programs for our members, for college women, and for local high school students. The Morgan Hill branch of AAUW typically awards a scholarship to this national conference, held annually near the end of the school year. The scholarship includes conference registration and travel expenses. If we are not able to identify a local candidate meeting our criteria, we will pass the funds on to AAUW’s national organization who will provide the scholarship to a worthy candidate. Please complete our NCCWSL Application. Applications are due February 15, 2019. The AAUW Morgan Hill NCCWSL Committee will review the applications and make the final selection. AAUW Morgan Hill has participated for several years in this speech contest, coordinated by AAUW California. Its mission is to promote understanding and communication of gender-equity issues among high school students through their research, preparation, and presentation of high-quality speeches, while promoting the value of public speaking as a life and leadership skill. The speech contest is held annually in January. Local High School clubs, with AAUW Morgan Hill member support, will hold their second one day leadership workshop on April 6, 2019 for local middle and high school students. Go to Future Women Leaders for conference details and to signup. AAUW Morgan Hill members advise the Women’s Advocacy Clubs (WAC) at Live Oak and Ann Sobrato High Schools. WAC is committed to promoting equality on campus and in the community through educating people on the power of words and defying societal expectations to empower women to reach their full potential as strong contributors to the world around them. AAUW Morgan Hill annually sponsors a branch member to attend Leadership Morgan Hill, and we have allocated funds for a participant in the upcoming class. We believe that participation in this program is an important way to increase AAUW Morgan Hill’s connection with the community. This is an intense 9 month commitment. Please contact our AAUW MH Leadership Development chair or go to the Leadership MH website to learn more. The branch solicits member applications starting in September and Leadership MH accepts them through the fall on a rolling basis. 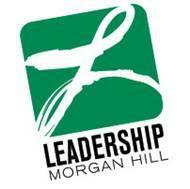 The AAUW Morgan Hill Leadership Development Committee will review the applications and make the final selection.